This is the dial I'm favouring. Sold! I’m in. Thats gorgeous! Any timeframe? Moobs logo looks great on there. Not so sure on the lume colour though...Maybe a faux vintage lume like the PRS-82 perhaps? I agree, a darker yellow lume like on the PRS-82 would look better imo. Eddie, have you considered using a closed minute track like on the original white dialed explorer? Also, the hour hand should be slightly bigger (1mm if memory serves me right). I would also support the darker lume! I was planning on using the super-bright X1-C3 lume on this and that isn't available in vintage. Also another vote for slightly darker lume - its not a big deal though. Looking forward to this as much as the black dial. Any chance of this colour dial in 40mm Everest? tbh not a fan of the faux vintage looking lume myself. The super bright offers nice extra utility. It’s another yes from me! May would be good, the wife could get me it for my birthday. Thank you Eddie, this is close to perfection! Especially the logo without the second line of text. Only thing i would change is the size and or the style of the hands. Is mercedes style a must? Would like to see hands as well balanced as on the 29A. X1-C3 lume is just great! I'm not sure that would be a popular move among us 1016 style fans! I will be buying this watch! Perfect Eddy as posted. When will it be available for purchase? As I've said elsewhere, I'll show my ar$e in Doggart's window if this happens . . . I would have no problem with hands like that. I'm trying to imagine what it will actually look like with that like given the colour differences (of the dial at least) of this render and the air ministry. As it stands though, I'm sold. 20 to 16 with a regular clasp sounds perfect. Sold on the non-vintage lume, dial (though honeycomb would be awesome), size, bracelet. Unsure on the blues hands, I think that I prefer just brushed/polished. Would like to see non Mercedes mocked up. This is the most exciting of the current PRS-25 models for me and the one I’m holding onto my cash for! Yep. Still liking that. Super-bright lume sounds cool as well. Lumed blue hands is a winner for me. Nice. I’d kill for those pencil hands !! Perfect, those options are just right, imho, including the super-bright lume. As an Air Ministry owner, I like the idea of that dial colour again coupled to blued hands, and the 4mm bracelet taper just tops it off. I will definitely be ordering one. Buy this and then have the 36 black and white, and then use the 20-16mm riveted bracelet on both black and white, wearing each for a month or so at a time. Surely the case will be the same and hence the bracelets will interchange? This is how my thinking is going. Perhaps the next bracelet will become available stand-alone too, which would save the swapping. I’m reducing to two watches. I shall I think reluctantly soon sell my new Everest 40mm to fund this white. I see the pair of 36’s as a possible lovely 2-only long term solution. This small size is a really enjoyable surprise. When I fall off the perch my two sons can have a 36 each! This answers my question about the future of Time Factors lume. Last edited by James_; 23rd December 2018 at 00:29. 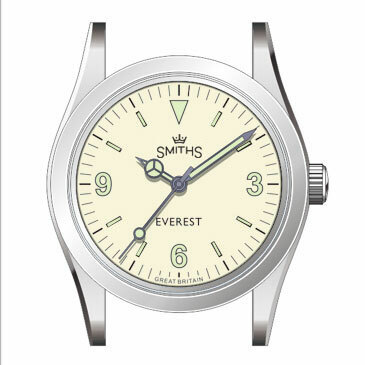 I'm interested in the Everest 36mm with black dial, but I really would prefer for it the new planned rivet bracelet 20mm tapering to 16mm,with simple "old style" clasp. Will this bracelet be available for sale separately (please say yes ... !) ? Any design scheme or picture for it ? Did you (would you) consider a pure white dial with maybe the Everest legend in red? Yes, I would like to see the hour hand return to 8mm from the 7mm in the black version. I'd also like to see the lollipop move back a bit on the second hand, as well as its width be constant with some sort of counterbalance. In the black version, it's the one aspect of the hand set that has a slightly lower quality look than the rest. I think a better and more correct fix would be to move the minute and hour markers 1mm to the outside of the dial. If you look at a 1016 dial you'll notice that the minute markers go all the way to the edge of the dial without any space left. On the 36mm Everest that is not the case; there's still about 1mm blank space left between the minute markers and the edge of the dial. The added benefit of moving the minute and hour markers 1mm to the outside would be that it makes the watch look slightly larger. To be fair, of all the homages that have been produced over the years only the Japanese Incipio got the dial 100% right. Unfortunately the Incipio is rarer than hen's teeth, the Everest is the next best thing imo (and a lot cheaper). I think the dial, bracelet and clasp are spot on. I'd like to see 1mm on the hour hand and the second hand disc moved more towards the centre, and slightly smaller. 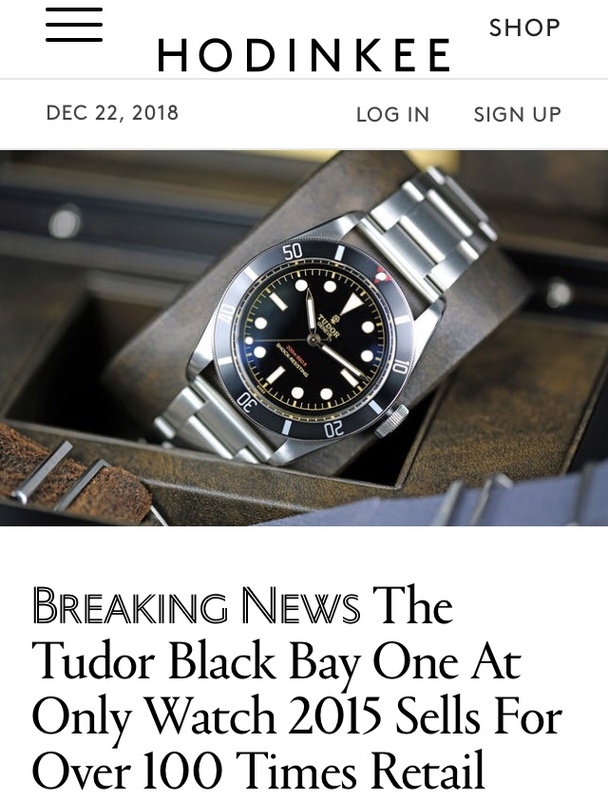 If you are doing a "version 2" of the black dial after the first run is sold out, then the proposed white dial logo design is what I would use, plus Everest in either the same light colour as the logo, or in red. And with the proposed white dial bracelet and clasp. Maybe moving the markers out to the edge of dial is a good idea. Re print colour for logo and text, not sure about that - would have to see mockups. I think there's alot to be said for keeping it simple. Having an off cream for the everest might be nice and subtle, just as the black face has a dark grey. Last edited by seikopath; 23rd December 2018 at 10:54. Are you not tempted to try it for a week or so just to see Dave? For me fabric straps are just so much more practical. I really really value having a nice light, smaller watch head that is very very legible. The everest just does that for me so completely. I've even retired my g10 to the watch box. I would be interested in trying the dedicated bracelet with 16mm taper and small clasp, but only, I suspect, for academic reasons. An early contender for post of the holiday season. I'm also of the opinion that sticking with the Mercedes hands is the right plan. I like those pencil hands, but I think the Mercedes are the right choice for this. The more i look at the dial the more i wonder if the black edging of the numbers and indices is necessary. With this great lume and the accurate printing maybe its possible to forgo the edging. Yes, blued hands, please. I think these will be very important to give good contrast with the dial and provide decent legibility. The pure luminova hour markings on the black 36mm are already quite small so, on the white, the border should be in addition to them, rather than using up any of the current lume. If this makes them look a little larger than those in the black then, imo, that would be no bad thing. Having an off cream for the everest might be nice and subtle, just as the black face has a dark grey. Shouldn’t the lume plots have a blue outline? Mrs T I need another watch! I think the lume colour and that of the dial are too close to forego the edging, without it will just blend and be a bit wishy washy. Id like to cast a vote for non-Mercedes hands. It’s what’s been keeping me from buying so far. I like the Mercedes hands. It would make a nice point of separation from the black dialled models.